Overzealous activity by mucosa-associated invariant T (MAIT) cells in response to bacterial toxins can lead to illness instead of stopping it. 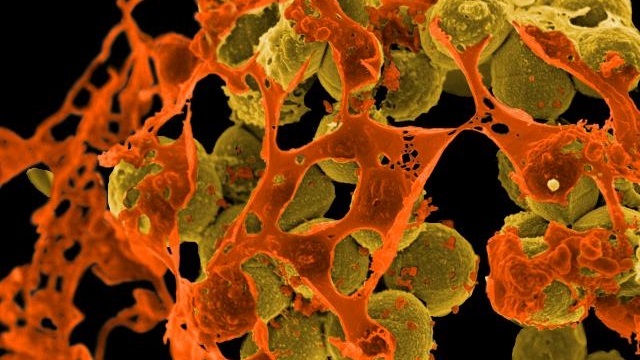 Methicillin-resistant Staphylococcus aureus (brown) is one of the strains of staph that can cause sepsis.WIKIMEDIA, NIAIDWhen a subset of T cells tries to fend off toxins, or superantigens, secreted by common pathogenic bacteria, the response can be harmful, new research shows. Working with superantigens from strains of bacteria such as Staphylococcus and Streptococcus in mice and in cultured human cells, scientists found that when immune cells called mucosa-associated invariant T (MAIT) cells detect bacterial toxins, they pump out loads of inflammatory proteins—an immune response that may be the root of fatal illnesses, such as toxic shock syndrome and sepsis, the team reports today (June 20) in PLOS Biology. “Our study has now unmasked a new, fast-acting, and extremely powerful culprit in the context of superantigens-mediated illnesses,” Mansour Haeryfar of Western University in London, Ontario, tells The Scientist in an email. Until now, researchers thought well-documented T cells, such as CD4+ and CD8+ cells, were the primary source of proinflammatory proteins called cytokines, which contribute to the cytokine storm at the root of toxic shock, sepsis, and similar conditions. These cells respond relatively quickly to infection but researchers noticed an incredibly rapid response to superantigens, one that was perhaps too fast for CD4+ and CD8+ cells T cells to drive the initial cytokine release. So Haeryfar and colleagues went looking for fast-acting T cells. 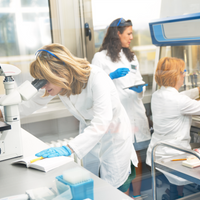 The team targeted MAIT cells, which were first identified in 1999. Since then researchers have grown increasingly more interested in them because of their ability to fight off bacterial infection. But their role in response to superantigens and the resulting complications was unclear. To further explore the issue, the team exposed human blood and liver cells to staphylococcal enterotoxin and then monitored the production of cytokines such as interferon-γ. 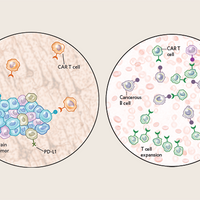 That led them to identify MAIT cells, which exhibited a much greater immune response, contributing a larger magnitude of cytokines compared with CD4+ T cells. And while MAIT and CD8+ memory T cells made almost equal contributions to the interferon-γ response, MAIT cells are found at much lower frequencies in the peripheral blood than the CD8+ cells. The team also injected transgenic mice, which simulate aspects of clinical toxic shock syndrome, with superantigens. 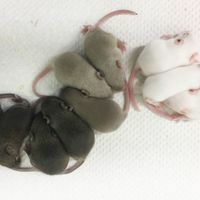 In the strain simulating toxic shock, the mice lost weight and looked diseased when infected with superantigens. Typically, MAIT cells in mice aren’t common, but in the lungs of these mice, the researchers found high levels of the unusual T cells, suggesting they were responding to the infection. Such a powerful response can have devastating consequences. Rigorous activation of MAIT cells resulted in cellular exhaustion, Haeryfar’s team found, meaning that they can no longer respond to pathogenic invaders. This leaves the host in an immunocompromised state, which can result in illness and death from a secondary infection, Haeryfar says. “This is a story we have to pay attention to,” Oxford University immunologist Vincenzo Cerundolo, who was not involved in the study, tells The Scientist. He says the experimental results are robust and, if confirmed in human patients, would point to how septic and toxic shock manifest in the body and what therapeutics might work to prevent the immune response from becoming fatal. The study “shows that aberrant MAIT cell activation may play a role in [toxic shock syndrome] and sepsis, and suggests that blocking aberrant MAIT cells’ response may provide some clinical benefits,” Edwin Leeansyah of the Karolinska Institute in Stockholm tells The Scientist in an email. But, he says, additional studies are needed to determine whether MAIT cells can truly contribute to toxic shock and sepsis in clinical settings, beyond cell and animal studies. C. Shaler et al., “MAIT cells launch a rapid, robust, and distinct hyperinflammatory response to bacterial superantigens and quickly acquire an anergic phenotype that impedes their cognate antimicrobial function: Defining a novel mechanism of superantigen-induced immunopathology and immunosuppression,” PLOS Biology, doi:10.1371/journal.pbio.2001930, 2017.